You probably already know that it's a good idea to cleanse and moisturize your face. After all, you want to keep it clean and safe from the drying effects of heat, whether it's the sun in the summertime or central heat in the winter. But be careful - what you're putting on your skin might actually be hurting, not helping. 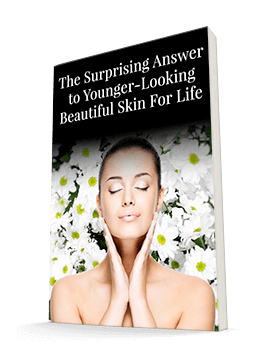 Your skin is your body's defense system against the outside world. It keeps infectious agents and allergens out while keeping water in. And of course, when your skin looks good, you feel good. But if you damage that barrier, you will run into trouble. Dry skin can be more damaging that you might realize. When heat and chemicals strip away your natural oils, your skin can start flaking and itching. This will put you at greater risk of inflammation and could ultimately lead to skin conditions like eczema. Clearly, moisturizing can help prevent this. But choose your moisturizer carefully, especially if you're already suffering from eczema. A recent study at the University of Bath found that a detergent called sodium lauryl sulfate (SLS) can irritate your skin and even make it more permeable - leading to greater breaches in that protective barrier. Unfortunately, many of the classic emollient aqueous creams recommended for eczema actually contain SLS. You will also find it in many other bath and cosmetic products. And if your skin is already irritated, it will be able to penetrate it even more easily. It is tempting to use SLS, especially for cleansing products, as it's the agent that makes other ingredients foam up in cleansers and shampoos. That's why many cleansers and some moisturizers contain SLS. 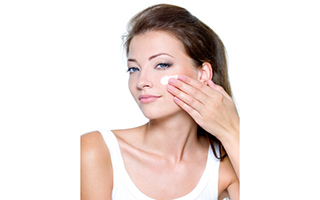 But look for products that are free of SLS, particularly if your skin is already damaged. Read the ingredients list carefully. You certainly want to lock in moisture, but you don't want to do damage in the process! Oil-based ointments can be a good option. Also consider the Systéme 41 cleanser and moisturizer, which do not contain SLS. As a matter of fact, none of the Systéme 41 products contain sodium lauryl sulfate.